Certain quarters of the PR industry may be waiting impatiently for this box of creative fireworks to fizzle out into all hope and no glory, but Hope & Glory shows no sign of slowing down on its habit of coming up with completely original ideas that earn attention, sell clients’ stuff, and sweep the board at awards ceremonies (it was shortlisted for 12 gongs at this year’s SABREs alone). The numbers are looking healthy, too: fee income grew by more than 19% to £5.69m over the year (and the agency is aiming for £6.4m in 2018) and monthly fee income grew by 25% to £490,000. There is an even male/female split on the board, no gender pay gap across the business, and a third of the team of 64 started as interns. Founders James Gordon-Macintosh and Jo Carr, perfectly aware that Hope & Glory is now a six-year-old mid-size agency rather than a hot start-up, and that it is only as good as its last brilliant campaign, have identified the greatest risk to the firm is sliding into mediocrity. To ensure there is no laurel-resting going on, they’ve invested in more training across the agency and have been working with an innovation consultant on creative idea generation. Hope & Glory also invested in sister digital agency OneFifty, and the two teams work together on clients including O2 and Sony. Founded in 1901, Dentsu Inc. established its PR department in 1950 and has since been a leader in the Japanese public relations market for five decades. But for much of that time, foreign competitors in particular complained that the firm was a leader largely by virtue of the power wielded by its advertising operations — in a market where PR was until recently seen as a poor cousin of advertising — and suggested that the firm was focused on old-fashioned media relations and events rather than more sophisticated reputation management or more modern digital and social capabilities. That was always an over-simplification, but today any such criticism is absurd. Like marketing communications businesses across the world, Dentsu Inc. has seen clients looking for more integration and more earned-first ideas, and the advertising and PR businesses have converged in ways that have brought out more creativity and originality — and elevated Dentsu Inc. to new heights in international awards competitions such as SABRE (its 31 nominations in our Asia-Pacific competition are more than any other agency) and the Cannes Lions. It was particularly interesting to see how much of the firm’s work over the past 12 months targeted women in ways that would surprise those who still think of Japan as a society in which traditional roles are rigid and unchanging: the firm’s work on the “Nameless Chores” campaign for Daiwa or the “Changing Housework from a Job to Joy” for Procter & Gamble challenged stereotypes in the home, while its “Hiring Campaign for Housewives” for McDonald’s highlighted the ways in which women are moving into the workforce. In another campaign focused on changes in Japanese attitudes, the “Great Failure” program for Froebel-Kan focused on the excessive pressure to succeed placed on young students. In almost all these instances, the line between PR and digital and social and advertising was blurred but the results were undeniable. 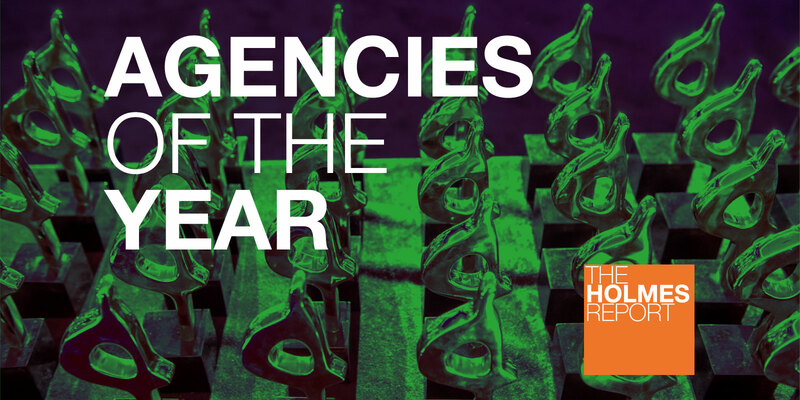 The shortlist for Creative Agency of the Year has traditionally been dominated by independent and midsize firms, a reflection of the widespread notion that there is some sort of inverse relationship between size and creativity, that small agencies are more capable of delivering big, bold ideas while their larger competitors are more likely to offer a “safe pair of hands” and the conservative approach that implies. Ketchum would appear to refute that hypothesis. The Omnicom-owned agency has consistently earned more SABRE nominations than any other agency, including this year, which saw the firm and its various units (employee engagement specialist Daggerwing and integrated creative shop Interfuse) notch up 15 North American finalists between them, ranging from “The Spotted Cheetah,” a restaurant serving Cheetos-inspired menu items (a formidable follow up to last year’s Cheetos Museum) and the introduction of Tostitos Party Safe Bags — both for Frito-Lay — to the Handle With Care campaign for Gillette to representing Wendy’s during its “Twitter Beef” to heavier corporate and issues fare for GE Digital, H&R Block, IBM and The Truth Initiative. All this creativity is not an accident. It’s the result of a corporate culture that celebrates big ideas at every opportunity, and a process that now integrates earned, shared, owned and a growing amount of paid work; a bespoke approach to influencer marketing that balances reach, relevance and resonance. In this past year, Ketchum elevated its global president, Barri Rafferty to global CEO. Her vision is to transform the firm — which has faced significant challenges with the loss of signature clients like IBM and FedEx over the last few years — into a more client-centric multi-disciplinary agency. 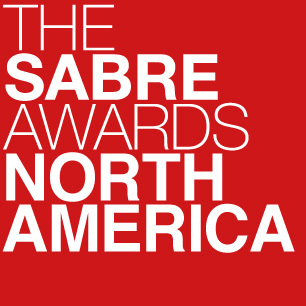 Only Edelman, Ketchum and Weber Shandwick — three of the world’s five largest public relations firms in 2017 — earned more North American SABRE awards nominations than M Booth last year, an indication of the extent to which the New York-based firm punches above its weight in terms of great creative work, although it's worth pointing out that after doubling in size over the past four years under the leadership of Margi Booth and Dale Bornstein (including another year of 20% growth in 2017) M Booth is no minnow, with fee income just a tad short of $34 million. What that means is that M Booth now has the critical mass to handle even the largest of clients in North America, and the resources to deliver all those capabilities expected from a 21st century PR firm, including digital and creative capabilities to match those of its largest competitors, and innovative offerings in content creation — the firm produced 150 separate pieces of content for Google each week, delivering everything from paid campaigns to work that integrates voice-activated systems like Alexa — and data and analytics. At the same time, M Booth continues to dive deep into popular culture to make sure its creativity really connects with target consumers. Launched in 2002, Red has become the star performer in the Havas Australia group, now numbering 90 people and exporting its model across the wider Havas network. Much of that is down to the leadership of James Wright, who joined Red in 2011 and has since been named global CEO for Havas PR. Red’s senior team also includes executive directors Jackie Crossman and Dav Ghiassi, the latter of whom runs the firm’s 24-person social media team, which has grown considerably to cover creative, strategy, paid, insights and optimisation, community management and content production. 2017 marked Red’s best year ever, as the agency underlined its presence as Australia’s hottest PR agency — growing by 70% and securing major new business from Toyota, Vivid, Lexus, Moet-Hennessy, Booking.com and Menulog. A further 40% growth is forecast for 2018, suggesting that Red’s momentum is firmly established in the marketplace. Existing clients include Amazon Web Services, Heineken, Coca-Cola, Cadbury, Destination NSW, Menulog, Origin Energy, Qatar Airways, Capgemini and Yahoo7.